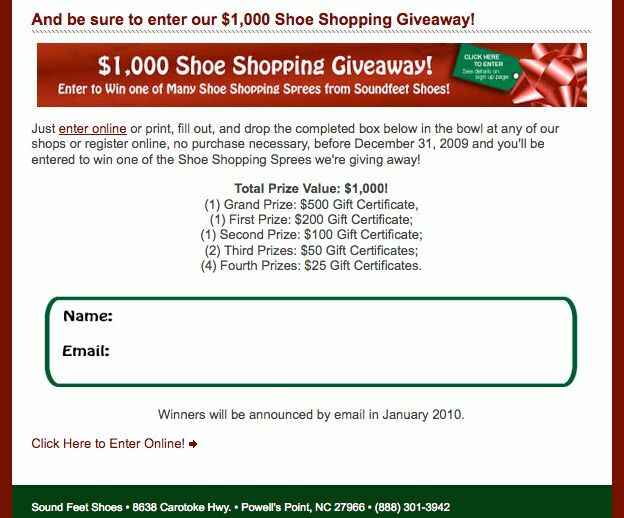 Sound Feet Shoes email campaign: Shoe Shopping Spree Giveaway. 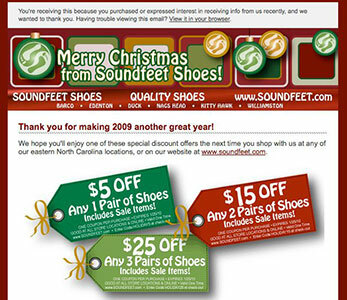 Email campaigns are a great and inexpensive way for companies such as Sound Feet Shoes to promote their sales and special events. 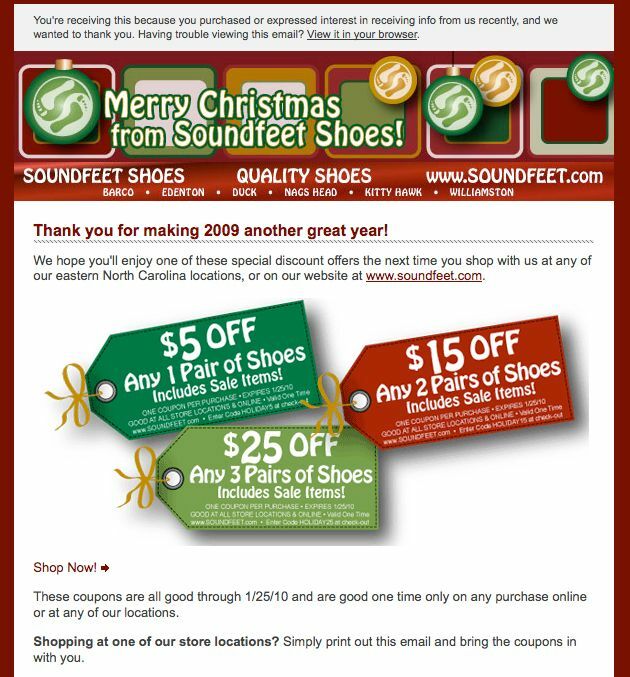 At Soundfeet shoes, their email newsletter sign up form asks visitors what their favorite shoe brand is. When Soundfeet has a new shipment of Ugg Boots, it’s easy to let just the right customers know. That’s targeted marketing at work.